Daimler DE27 /DH27 Limousines & DC27 Ambulance. Black with a Screw in HT lead ! This is a New Re-manufactured 12V oil as a Copy of the Old Type Lucas Coil in. Ignition Coil. Ignition Coils. In this case, the Supplier will inform you as soon as possible. 1.4 The contract is subject to your right of cancellation (see below). Format of the Contract. 2.2 The goods are subject to availability. Daimler Daimler XJ XJ 7/ 1997 - 12/ 2003 Petrol: 4.0 BC, DC. Labour & any consequential loss claims are never accepted. At AMS we know how difficult buying car parts can be, but we do everything we can to make it as easy as possible. Daimler Daimler XJ XJ 7/ 1997 - 12/ 2003 Petrol: 4.0 BC, DC. Jaguar XJ X300 11/ 1994 - 7/ 1997 Petrol: 3.2, 4.0 9JPFRB, 9JPGRB, 9KPDRB. Any models shown in the application table are just a guide. The only way to be 100% accurate when confirming compatibility is by cross checking your number from your original part matches one of the following. Daimler Daimler XJ XJ 7/ 1997 - 12/ 2003 Petrol: 4.0 BC, DC. This information is direct from the part manufacturer, we do not own this data and cannot confirm it's accuracy or edit the data. Labour claims and consequential loss claims are never accepted. PART NUMBER: C30120. & DAIMLER DS420. XJ6 SERIES 1. 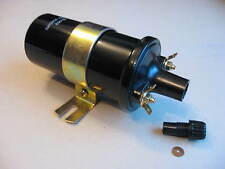 IGNITION COIL (NON BALLAST). PART NUMBER: C32578. BALLAST RESISTOR. XJ6 SERIES 1 & 2. XJ6 SERIES 3 3.4. PART NUMBER: C8749. 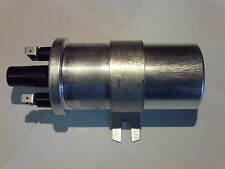 JAGUAR DAIMLER IGNITION COIL. DAIMLER V8. (SCREW IN TYPE). E-TYPE SERIES 1. DAIMLER SOVEREIGN. IGNITION COIL. T ech Note: 12 VOLT WITH 'PUSH IN' COIL CONNECTION. DAIMLER MAJESTIC 3.8. IGNITION COIL. T ech Note: 12 VOLT WITH 'PUSH IN' COIL CONNECTION. DAIMLER SOVEREIGN 4.2. IGNITION COIL. T ech Note: 12 VOLT WITH 'PUSH IN' COIL CONNECTION. Jaguar/Daimler XF 3.0 2008-2015. Jaguar/Daimler S Type 2.5, 3.0 2002-2007. Jaguar/Daimler X Type 2.0, 2.5, 3.0 2001-2008. We will need a full report detailing how the part has been diagnosed as faulty and without this letter we are unable to make any warranty claims. Jaguar XJSC -- 4.0 1994 - 1996. Daimler Daimler XJ XJ Six 4.0 1997 - 2000. Daimler Daimler XJ XJ V8 Super 4.0 1997 - 2000. Jaguar XJ X300 6 3.2 1994 - 1997. Jaguar XJ -- 4.0 1994 - 1995. Jaguar XJ X300 6 Sovereign 4.0 1994 - 1997. DAIMLER SP250 SPORTS. NEW GENUINE LUCAS IGNITION COIL. XJ DAIMLER DAIMLER XJ 7 / 1997-12 / 2003 Gasolina: 4.0 AC, DC. 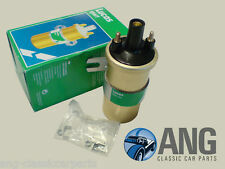 Jaguar XJ X300 11 / 1994-7 / 1997 Gasolina: 3.2, 4.0 9JPFRB, 9JPGRB, 9KPDRB. Reference OE/OEM Number JAGUAR: LHE1510AB, C.I. : XIC8322. A continuación puede encontrar una traducción automática al español. JAGUAR XJSC - 4.0 1994 - 1996. Daimler Daimler XJ XJ Six 4.0 1997 - 2000. Daimler Daimler XJ XJ V8 Súper 4.0 1997 - 2000. JAGUAR XJ - 4.0 1994 - 1995. JAGUAR XJ X300 6 3.2 1994 - 1997. JAGUAR XJ X300 6 Sovereign 4.0 1994 - 1997. DAIMLER (X30_). Bobina de encendido. Las bujías de encendido. SÍNTOMAS COMUNES de no bobina (s) de ignición incluyen: el movimiento de motor, pérdida de energía, disminución en el consumo de combustible y las posibles códigos de avería de la bobina de encendido de sus diagnosis de a bordo. PART NUMBER: DAC8520. IGNITION COIL. 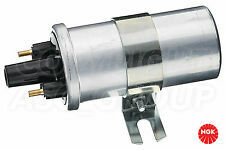 Compatible with Daimler XJ models 1997-2000 and Jaguar XJ 1994-1996. Daimler Daimler XJ XJ 7/ 1997 - 12/ 2003 Petrol: 4.0 BC, DC. All of our products are sourced directly from our range of approved factories. All of our parts are subject to quality testing and are ISO TS16949 certified, we also search to make sure that our approved manufacturers use the latest technologies and materials available. Jaguar XJSC -- [1985-1996] Convertible 4.0 1994 - 1996 3980ccm 233HP 171KW (Petrol). Daimler Daimler XJ XJ [1994-2000] Saloon Six 4.0 1997 - 2000 3996ccm 284HP 209KW (Petrol). Daimler Daimler XJ XJ [1994-2000] Saloon V8 Super 4.0 1997 - 2000 3996ccm 363HP 267KW (Petrol). 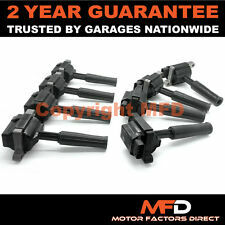 DAIMLER XJ X30 4.0 Ignition Coil 97 to 03 CI XR827823. JAGUAR XR827823. DAIMLER DAIMLER XJ (X30_) Six 4.0 Saloon Petrol 07/1997 12/2002 RWD 32 284 209. DAIMLER DAIMLER XJ (X30_) V8 Super 4.0 Saloon Petrol 07/1997 06/2003 RWD 32 363 267. A/C Condenser. DAIMLER XJ (X30_). Ignition Coil. Anti Roll Bar link. Cylinder Heads & Gaskets. Lower Ball. V8 Super 4.0. IGNITION COIL TYPE: PENCIL. Ignition Coil. Number Of Poles 2-Pin Connector. 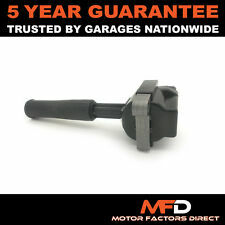 DAIMLER XJ X30 4.0 Ignition Coil 97 to 03 CI LHE1510AB. JAGUAR LHE1510AB. DAIMLER DAIMLER XJ (X30_) Six 4.0 Saloon Petrol 07/1997 12/2002 RWD 32 284 209. DAIMLER DAIMLER XJ (X30_) V8 Super 4.0 Saloon Petrol 07/1997 06/2003 RWD 32 363 267. Esta garantía no afecta sus derechos estatutarios como consumidor. Land Rover. CITROEN / PEUGEOT. Reference OE/OEM Number #5 LADA; 2108-3705010; 273705, LAND ROVER; RTC5628. 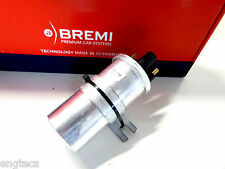 Reference OE/OEM Number #4 HYUNDAI; 27310-21020, JAGUAR; DAC3001; DAC3795; DBC1140. Jaguar/Daimler XJB 3.2 1997-2002. We will need a full report detailing how the part has been diagnosed as faulty and without this letter we are unable to make any warranty claims. We're sorry about that. XJ DAIMLER DAIMLER XJ 7 / 1997-12 / 2003 Gasolina: 4.0 AC, DC. 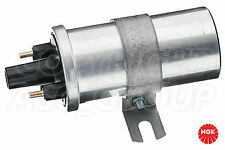 Reference OE/OEM Number JAGUAR: LNE1510AB, JAGUAR: XW93-12029-AB. A continuación puede encontrar una traducción automática al español. Nunca se aceptan reclamaciones por pérdidas de mano de obra e indirectos. JAGUAR LNE1510AB, XW9312029AB. DAIMLER DAIMLER XJ (X30_) Six 4.0 Saloon Petrol 07/1997 12/2002 RWD 32 284 209. DAIMLER DAIMLER XJ (X30_) V8 Super 4.0 Saloon Petrol 07/1997 06/2003 RWD 32 363 267. JAGUAR XJ (X308) 3.2 Saloon Petrol 07/1997 05/2003 RWD 32 237 174. Esta garantía no afecta sus derechos estatutarios como consumidor. Bobina de encendido. Bobinas de encendido. 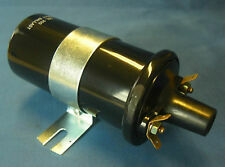 Reference OE/OEM Number #1 FORD; 1027283; 6077429; 79BB-12024-AA; 92GB-12024-AA. CONEXIÓN DE ÁNGULO (GRADOS). Daimler Daimler XJ XJ 7/ 1997 - 12/ 2003 Petrol: 4.0 BC, DC. Jaguar XJ X300 11/ 1994 - 7/ 1997 Petrol: 3.2, 4.0 9JPFRB, 9JPGRB, 9KPDRB. Labour & any consequential loss claims are never accepted. Engine Code(s). Jaguar XJSC -- 4.0 1994 - 1996. Daimler Daimler XJ XJ Six 4.0 1997 - 2000. Daimler Daimler XJ XJ V8 Super 4.0 1997 - 2000. Jaguar XJ -- 4.0 1994 - 1995. Jaguar XJ X300 6 3.2 1994 - 1997. Jaguar XJ X300 6 Sovereign 4.0 1994 - 1997.